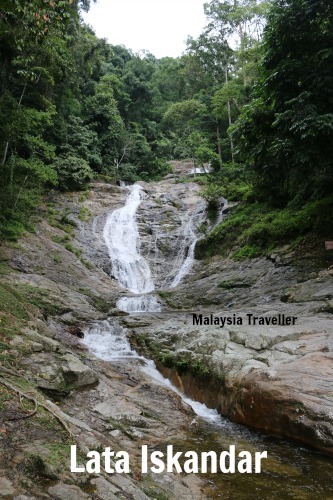 Lata Iskandar is a spectacular and easy to access waterfall which you cannot miss if you are driving to Cameron Highlands via the old Tapah road (route 59). 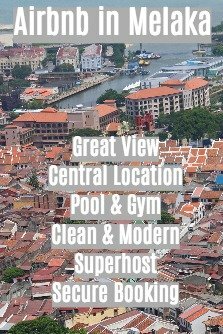 Being located alongside a busy road, this is a popular stopping off point and can get crowded at weekends and on public holidays. You have to park your car on the roadside, taking care not to obstruct the traffic bearing in mind that it is situated on a hairpin bend. There are a number of stalls here selling tribal handicraft products, snacks and drinks. There are a few picnic gazebos and concrete bridges at the foot of the waterfall where you can enjoy a good view and appreciate the cooling humid air created by the cascade. There are wading pools here where families can bathe safely. 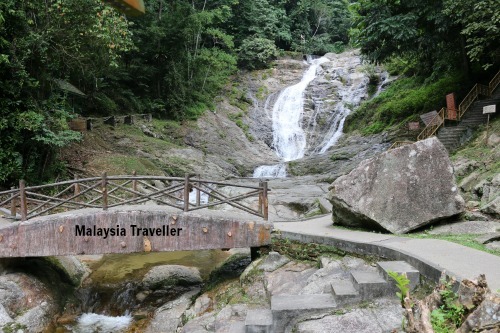 If you are feeling energetic you should climb the concrete staircases which lead to the top of the main cascade. It is possible to climb higher but this involves scrambling through the undergrowth. Waterfalls are dangerous and unpredictable and rocks are usually very slippery. Obey the warning signs and take great care at all times. There are no opening hours and no admission fee.